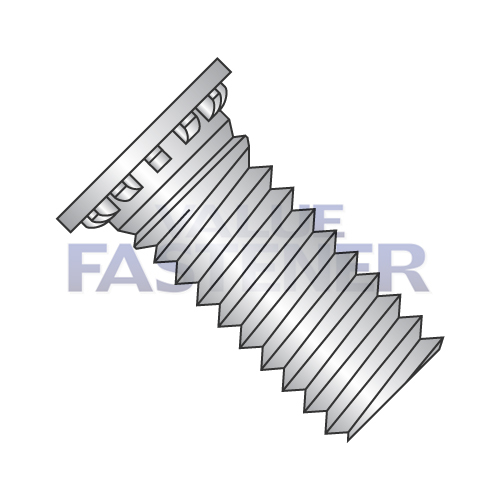 Self-Clinching Studs are a fastener with unified thread pitch and a cylindrical, low profile head with small, rectangular ribs protruding fro the underside of the head. The top of the head is flat and is flush with the mating surface when installation is complete. Below the ribs and above the first thread is an annular groove which helps to hold the fastener in postiion.